If the rumor mill carries anything of significance, Samsung’s yet-to-be-announced Galaxy S III could boast an impressive quad-core Exynos 4412 CPU – a move which would really throw down the gauntlet to rival manufacturers. AndroidAndMe, a site dedicated to covering all things Droid, has done its homework on the device and uncovered information buried in the "Linux Kernel Archives" which seems to suggest that the Korean electronics giant is already at testing stage of the Exynos 4412. As well as being a lot faster than anything else on the market, it would be more economical with battery consumption – a fundamental aspect of any smartphone. Many current smartphones are home to some great on paper features; but in reality, the battery dies within a few hours – rendering the device useless to power-users. It would be a relatively significant upgrade from the Galaxy S II’s dual-core 1.2 GHz Exynos 4210 processor, and would use 30% less power than its predecessor. Citing a tipster, AndroidAndMe reckons Samsung has a few devices set for release early next year that will "blow minds" and will be "big step past the Galaxy Nexus class, in every way," painting a very exciting picture for the opening quarter of 2012. The post also toys with the idea of an improved GPU this time around. The Galaxy S II’s Exynos 4210 was armed with the ARM Mali-400 GPU which, at time of release, was the fastest going, but has since been surpassed by Apple’s A5 chip and its PowerVR SGX543MP2 GPU. Whatever the case, Samsung will be keen to topple bitter rivals Apple in the battle for the smartphone crown. The Cupertino company has made a lot of noise with its Siri-wielding iPhone 4S, but a quad-core processor would certainly test the fruit company’s resolve. The alarming exchange of mainly patent-based lawsuits between the two has seen previous business ties completely strained as both try to work independently of each other. It will certainly be a battle worth watching, and all will be covered here at Redmond Pie in due course. 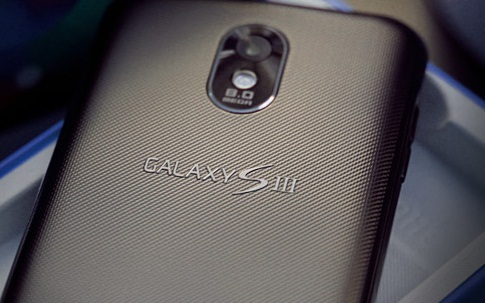 In the meantime, and back on the subject of the purported quad-core S III, would you buy it? Would sheer power and the promise of Ice Cream Sandwich entice you over the bells and whistles of Siri and the brand-new iOS 5? Leave your thoughts on our Facebook or Google+ pages! Update: According to a very reliable and trusted source, prototypes of the Samsung Galaxy S III do NOT feature quad-core processors. Our source has inspected the current prototypes, thus we can only presume that the final product – which will probably release early 2012 – will too be bereft of a quad-core processor.